We've all been there before — you're almost done with the final mix of your latest session and you reach for one last UAD plug-in to seal the deal, but alas - no more DSP is available! In the long run, this may be a good indication that another Apollo, Satellite, or PCIe card would be a good addition to your setup to maximize the number of simultaneous UAD plug-ins you can use. In the short term, however, there are a few strategies you can use to squeeze the most DSP power out of your existing setup as possible. 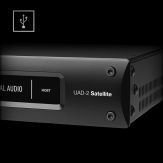 Note: UAD-2 Satellites and PCIe cards cannot be used to process UAD plug-ins in Apollo's Console. For details, see this article. There are a handful of settings we can adjust in the UAD Meter & Control Panel that will affect the performance of all of our device categories (PCIe cards, Satellites, and Apollo interfaces). 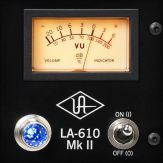 On the Configuration tab of the UAD Control Panel under the "UAD-2 DSP" section, make sure that "Limit DSP load to" is set to the maximum value (100%). This is the default setting that we recommend for most systems. Next, you can uncheck the box next to "DSP LoadLock." 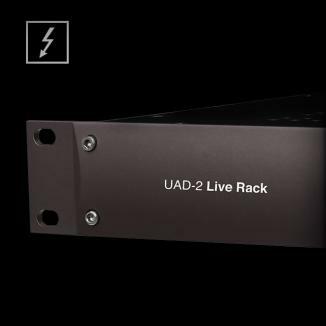 This feature reserves the maximum amount of DSP that a UAD plug-in could potentially use regardless of whether you have actually enabled all of the features or modules of that plug-in. If DSP conservation is the goal we can uncheck this option to potentially save on processing power when particular features or modules of certain plug-ins are not in use. 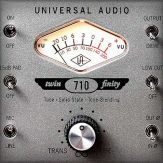 For example - with DSP LoadLock disabled, the EQ section of the Neve 1073 Preamp and EQ Plug-in can be disabled to save a considerable amount of DSP. Next, under "HOST COMPATIBILITY", check the box next to "Release all UAD DSP resources on AU bypass." If you use Logic Pro X or another Audio Units compatible host, this will ensure that bypassing a UAD plug-in will actually release the DSP it uses in realtime. Note: These directions address settings in Console 2. The same concepts apply to Console 1, although the location of certain settings may be different. If you own an Apollo audio interface, you can head to Console > Settings > Hardware panel to adjust some settings to further conserve on DSP. We will achieve this by turning some features off, but you should only do this if you don't need to use those particular features. If you own an Apollo 8, 8p, 16, or 16 mkII, the first thing we can do is minimize the "CUE BUS COUNT" if you don't need all 4 independent cue sends. Keeping this setting at the minimum (2) will conserve a few % points of DSP. 1. Multiple Console inputs are used for a single source (such as a drum kit using multiple microphones). 2. 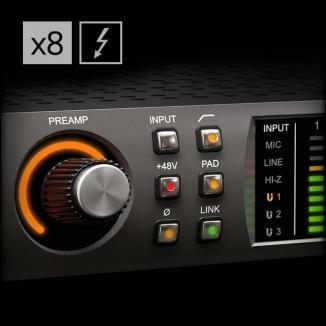 Any of those input channels contain upsampled UAD plug-ins. If you don't meet BOTH of those conditions, you can safely set IDC to OFF to save some DSP. 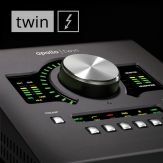 If you are using an Apollo Twin and are not using the ADAT inputs, you can head to Console > Settings > Hardware panel > Options, and switch the "DIGITAL INPUT" mode to SPDIF from ADAT to conserve some additional DSP. 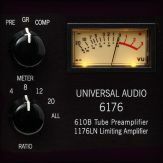 Keep in mind that UAD plug-ins require more DSP when working at higher sample rates. 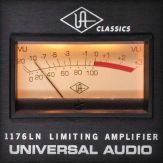 At 4x sample rates (176.4 / 192kHz) the idle DSP usage of an Apollo interface with no UAD plug-ins loaded will decrease, but that is a side effect of certain features such as Aux channels and Flex Routing being disabled automatically for technical reasons. If you work at higher sample rates but frequently run out of DSP, you may want to consider working at a lower sample rate. Now that we've covered all of the settings we can optimize, there are different workflows that we can consider as well. 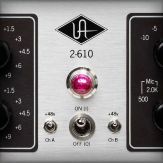 If you are happy with the sound you get by tracking through UAD plug-ins in Console, committing those effects at the recording stage is an excellent way to save more DSP for later in the mixing process. 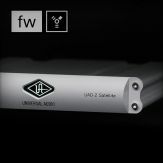 Plug-ins in the dedicated Unison insert slot will always process the signal passing through them permanently on the way to the DAW. 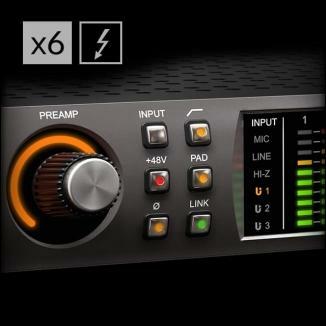 However, for any plug-ins used in the standard insert slots you can turn the INSERT EFFECTS mode to "UAD REC" rather than "UAD MON" (on the right side of the Console window or at the top of the INSERTS section of each Console channel) to likewise apply the processing permanently on these input channels as you record in to the DAW. Once you are happy with your recorded audio, you can then disable the UAD plug-ins in Console to free that DSP up again for UAD plug-ins in the DAW. 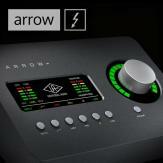 If you don't own an Apollo you won't be able to use Console, however if you are a Pro Tools user you can still apply effects offline using the AudioSuite functionality in that DAW. 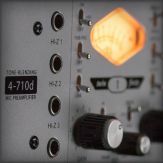 For a handful of our plug-ins, you have the option to use Legacy versions (Fairchild 670 Legacy, Neve 1073 Legacy, Neve 88RS Legacy, Pultec EQP-1A Legacy, Pultec Pro Legacy, Teletronix LA2A Legacy, UA 1176LN Legacy) or SE versions (Harrison 32C SE, Moog Filter SE, Neve 1073SE Legacy, Neve 1081SE, Neve 33609SE, UA 1176SE Legacy). 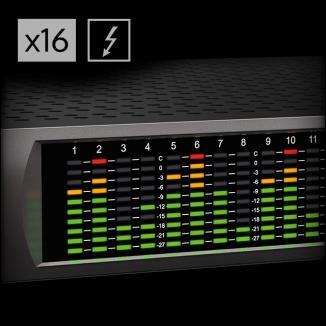 In each case, these SE or Legacy versions will get you close to the sound of the full-DSP versions of the plug-in, but with a much smaller DSP footprint. 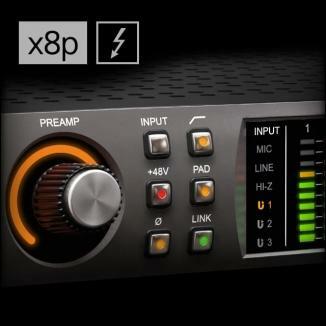 If you want to use a more DSP-intensive UAD plug-in on several tracks in your DAW session but don't have enough DSP to use multiple instances of that plug-in, you can route all of the tracks to a single Bus track or Aux return and apply a single instance of the plug-in to all of the tracks simultaneously. 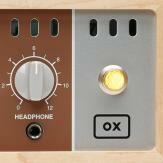 For example, you could route all of your Vocal tracks to a "Vox Bus" and load a single instance of the Manley Massive Passive EQ to sculpt the tone of all the vocal elements at once. Rather than load a different individual reverb or delay plug-in on every track in your session, consider using a single reverb or delay on an Aux Return (set to 100% WET) and sending varying amounts of each track to this return using the Sends in your DAW. Similar to the previous technique, this will minimize your DSP usage while still applying the effects to multiple elements at once. 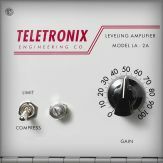 Please note that although this technique is most frequently applied to reverbs and delays, it can also be used quite effectively with distortion as well (try loading a Thermionic Culture Vulture on an Aux return and sending signal from any track you wish to add some harmonic excitation to).